"The Ford Explorer Platinum aims for customers who simply want everything in a simple, pre-packaged model," again according to the reviewers at AutoWeek. If families have the money (MSRP is around $50k for the Platinum) and they want an American brand with top-of-the-line everything and very few add-ons, then this vehicle is worth a very close look. 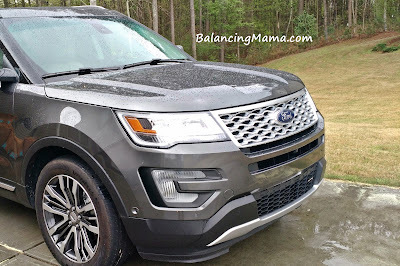 Of the vehicles I have investigated at dealerships and tested via reviews, the Ford models seem to have some of the best electronics and user-friendly gadgets. The interior is laid out in a very driver-accessible way with style and class. But beyond the fun gadgets and luxury perks, I have been very impressed with Ford's commitment to new and improved safety features. 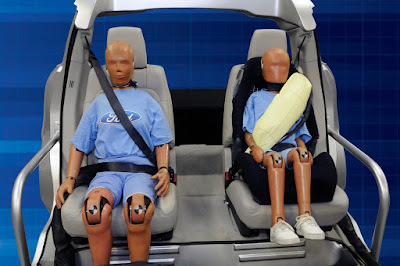 Ford introduced inflatable rear seat belts in 2011, which deploy an airbag over the chest and torso of the rider, to control force to the chest and control head/neck motion in a crash. 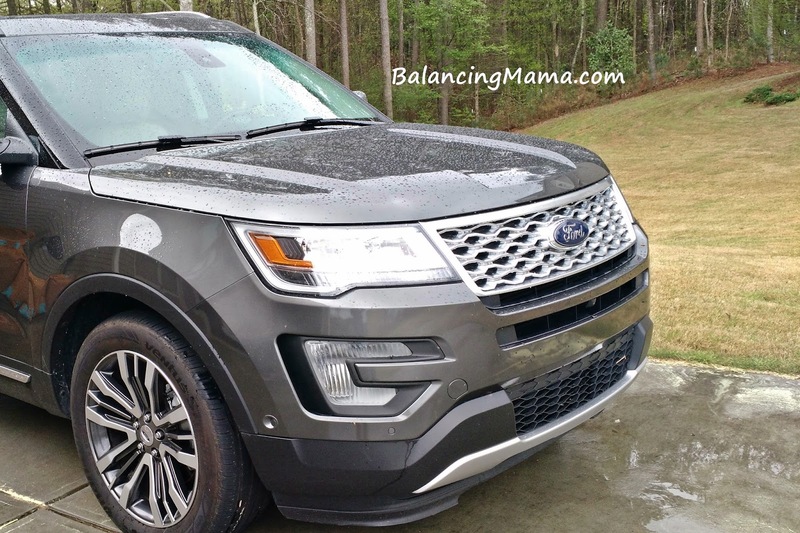 The Ford Explorer Platinum combines the performance of the popular Explorer Sport with new levels of comfort inside, offering drivers the most well-appointed Ford SUV to date. 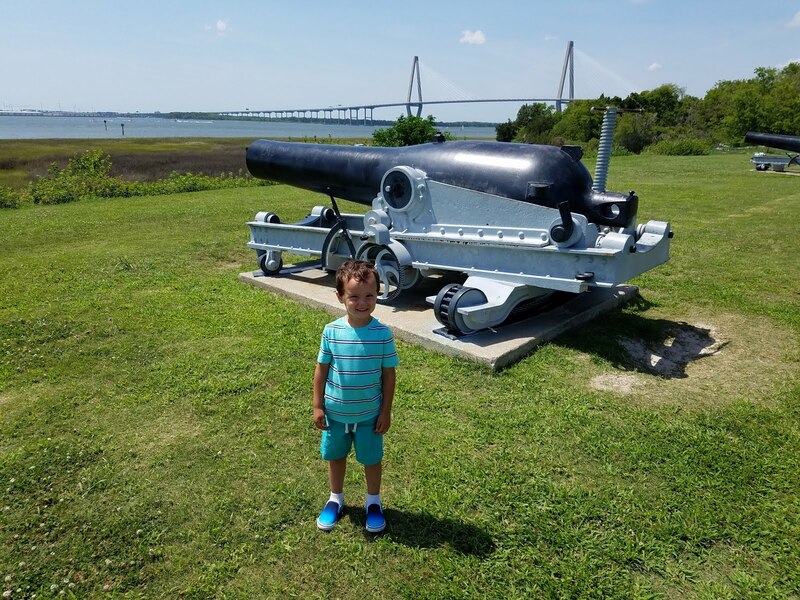 We had a blast driving it! 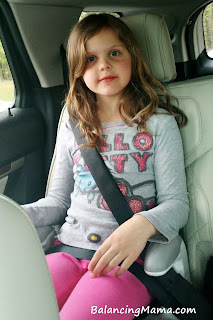 My daughter enjoyed testing both the traditional back seat and one of the full-size third-row seats during our road trip. It took just a touch of a button to pop up the third row, fold, or stow it. Even with the third row up, we had plenty of space for luggage, snacks, and drinks. 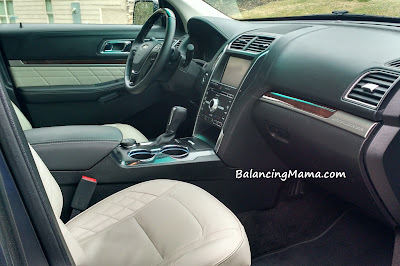 I was provided with a 2016 Ford Explorer Platinum for one week to test and review. All opinions stated above are 100% mine.